Horsmonden Village Green lies at the heart of the village bordered by the Goudhurst Road to the south, Maidstone Road to the west and Green Road to the North and East. 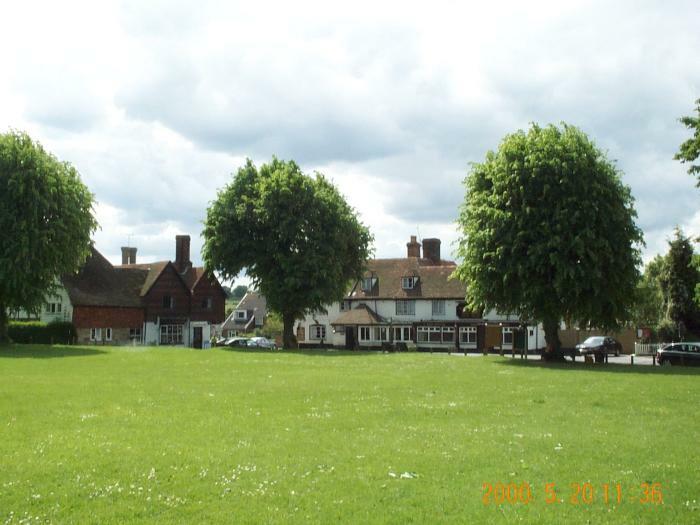 The Village Green is a registered “Village Green” and not common land. The Parish Council is responsible for controlling the use of the Village Green and organisations or groups wishing to organise events on the Green must apply to the Parish Council for permission. In compliance with the Commons Registration Act 1968 (Register of Common Land and Town or Village Greens) at a Public Enquiry held at Canterbury, the Green was registered as a Village Green, (registration No.VG16). This means that the Green is the property of the residents of Horsmonden and is under the control of the Parish Council. During the period October 1897 – 1899 various trees were given and planted around the Green. In commemoration of the Silver Jubilee of King George V and Queen Mary two trees were planted on the Green by the then Head Boy and Girl of the Village School, On 24th June 1896 consideration was given to the question of the regulation of the Village Green. The first reference to the Green was 4th December 1895 when it was proposed and carried “that the holes on the Village Green be filled at the expense of the Council”. The first Byelaws were approved in 1937 and over the years have been updated. Some of the original Byelaws have been deleted as they are now covered by acts of parliament. The older residents of the Parish will remember the Green being cut by hand (Scythe) once or twice a year, the labour to do this work was provided free of charge by local Farmers. Today it is mown weekly during the season by gang mowers (the property of the Parish Council).